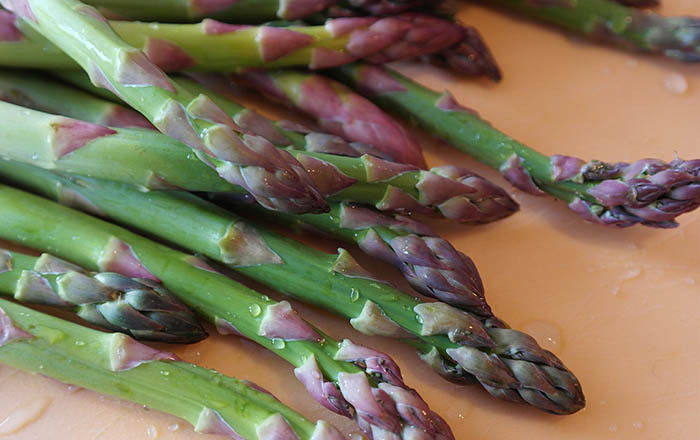 It’s spring asparagus season. I love to toss locally grown asparagus in some olive oil on a sheet pan and then wrap each spear in a thin slice of prosciutto. Lay the spears out on the pan, not touching each other, and broil them about six inches from the heat element. Three minutes on one side, flip them over and broil three more minutes on the other side. They should be nice and crispy. Squeeze of lemon once they hit the serving platter, and watch them disappear.